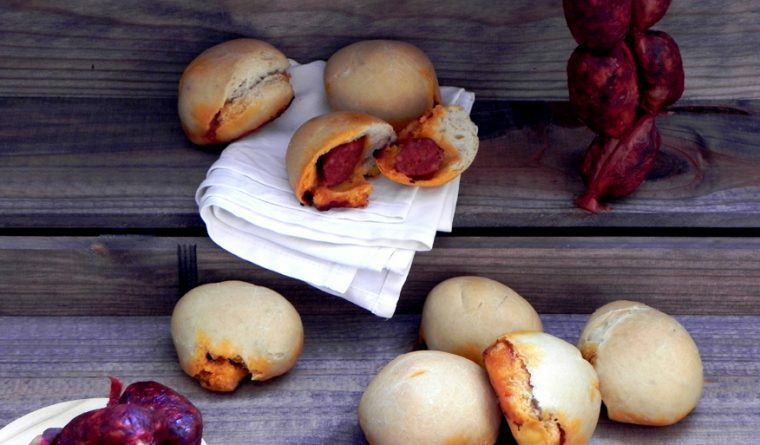 A delicious and simple dish, Bollos Preñaos or chorizo stuffed bread buns are famous all over Spain. 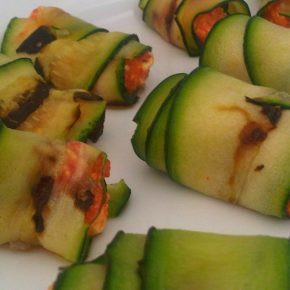 And like most Spanish recipes depending on the area you are in, you will find a different way that they are prepared. 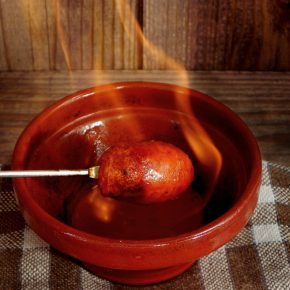 Some of the most famous chorizo stuffed bread comes from Asturias where they traditionally make them with chorizo a la sidra, or chorizo with cider. Traditionally when having to open a new barrel of cider to check whether it’s ready, there’ll be a big lunch or dinner to try the cider with family and friends. 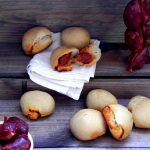 Bollos preñaos are the perfect accompaniment for these sort of impromptu get-togethers and parties, as they provide the much needed ‘stodge’ to allow diners to keep drinking more and more cider! Known as espiches these lunches or dinners are common place around Asturias in January and February each year, when the cider has reached maturity and is ready to consume. Cider is then served with a spread of other local produce including cheeses cooked with pimentón (paprika), empanadas, fried fish eggs and of course some bollos preñaos! The other key point to remember when holding an espiche is that every one always stands. Obviously because that way they avoid the problem of not having to leave the table and of course it also means they get to drink more cider! Can you see a theme here? Mix the flour, the yeast and the salt, then add your water and olive oil. Keep working the dough until it is smooth with a nice texture. Leave in a mixing bowl or proofing basket, covered with cling film for a couple of hours. Spread out your dough and break it into 12 pieces so that can you make 12 rolls. Work each piece into a ball, putting a small piece of chorizo in the middle so it is enveloped in the dough. 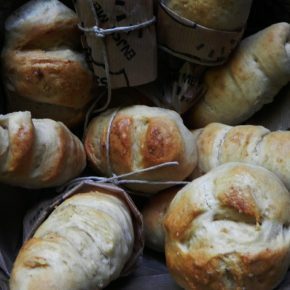 On a baking tray spread out your rolls and then brush with a little egg wash. For a little finishing touch you can also sprinkle a bit of sea salt over the tops too. Cook in the oven at 180C for 15 to 20 minutes until the bread has risen and the rolls have turned golden. Eat when hot! Delicious too when served with some Alioli.